Preheat the oven to 350° F. Spray an oven-safe pan with cooking oil. Rinse the salmon in cool water and pat dry. Place into the prepared pan. Drizzle with olive oil and then sprinkle with salt and pepper. Lay a sprig of thyme over each piece. 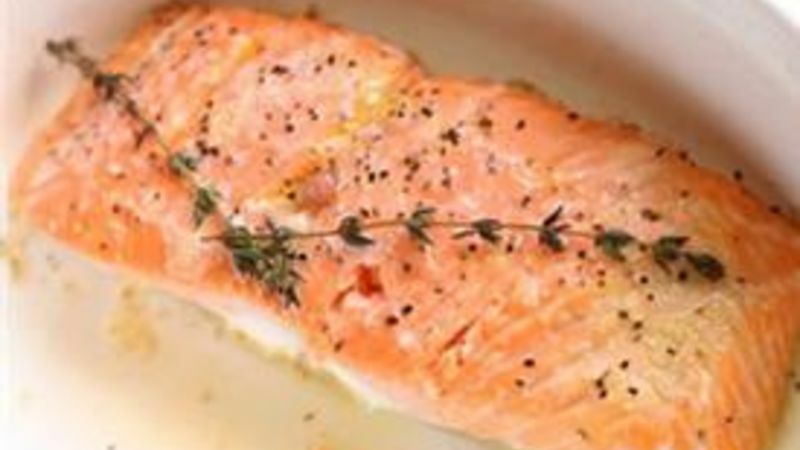 Bake the salmon for 15-20 minutes, until it flakes easily with a fork.